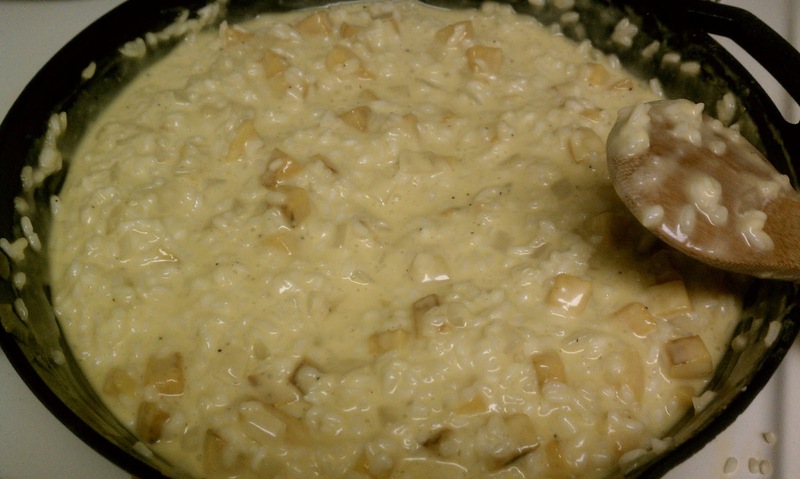 A Tasty Mess: The Magic Risotto? I have always been somewhat leery of making risotto. On the surface it seemed like a simple enough concept, a rice dish slowly simmered with stock until the rice becomes tender, releasing its starches and becoming creamy. However, I knew it required constant stirring/babysitting and I was loathe to spend all that time standing over the stove. Last night I finally caved and decided to give it a whirl and it turned out beautifully! It did take time to make and included lots of stirring but it was completely worth it. LORELAI: You made the risotto and she lived three more years. SOOKIE: She was supposed to be dead. The doctor said she wouldn’t make it through the night. LORELAI: And she lived because of the risotto - the magic risotto. SOOKIE: And this guy had the nerve to say it was ‘fine'. LORELAI: I don’t think he knew the story. This might not have been magic risotto but it was incredibly delicious! Check out the recipe below from The Pioneer Woman, the only thing I changed was I used only a splash or two of cream instead of a 1/4 cup and I was out of parmesan cheese so I omitted that. It was still extremely good...my husband and I couldn't seem to stop eating it!